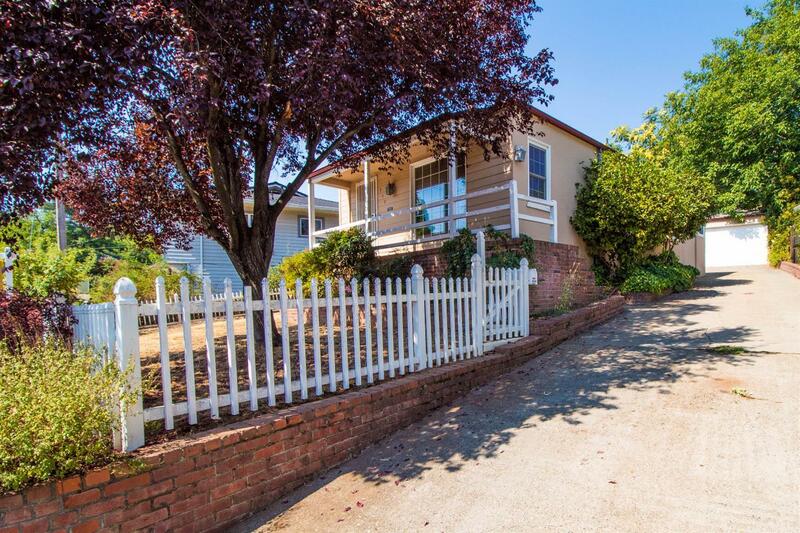 Charming 1940's bungalow located within walking distance to historic downtown Placerville and El Dorado high school. This inviting home offers wood floors, cozy wood burning fireplace, cheerful tiled kitchen and bath. Covered front porch with brick border and mature plantings. Tranquil back patio area makes a great space to relax and unwind. Concrete driveway and 2 car detached garage.